Signature for Her EDP by English Laundry starts off with a top note of quince, followed by a heart of jasmine and white chocolate and is rounded up with a base of musk, orris root and wood notes. On first spray I can smell quince and white chocolate mainly, but after a short while the jasmine comes through along with the woods and musk. It's a warm fragrance, best suited to autumn I would say (so it fits perfectly within this box theme). Definitely cosy and comforting. It doesn't seem to last very long though, which is a little disappointing when you see that the full-size price is £60. However, I do find that this happens with samples sometimes and then has lasted a lot longer when sprayed from the bottle (anyone else found this? ), so I won’t critique it too much on this point. I think a lot of people will like Signature for Her as well as its easy to wear and enjoy. Just think of chocolate, musk and flowers. You can buy the full size, 50ml bottle of English Laundry - Signature for Her EDP for £60 from Birchbox. 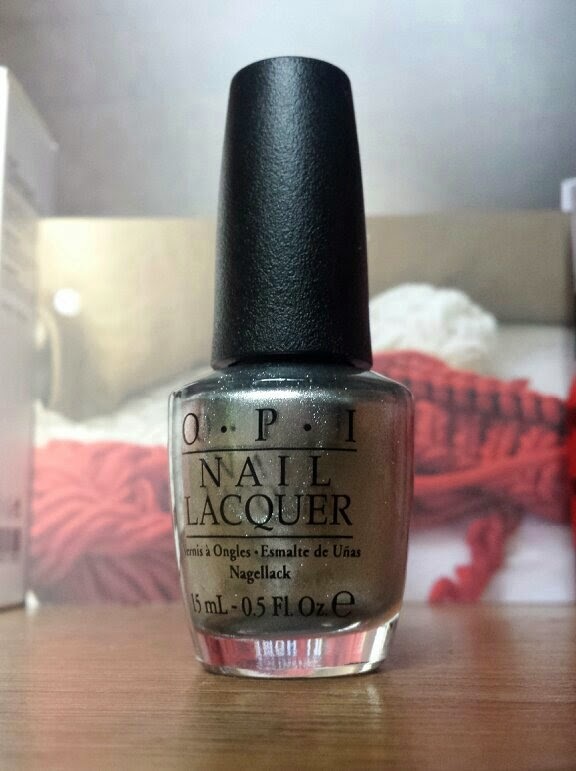 OPI is a nail polish brand that is 3-free (toluene, formaldehyde and DBP free). This particular shade, Turn on the Haute Light, is from their Coca-Cola collection. Firstly, as a side note, I am SO happy that I got this in my box! The OPI Coca-Cola collection was released during the summer, but I put off purchasing any (even though I wanted them all) because of the same reason I put off a lot of other purchases around the same time: pregnancy sickness. Therefore, receiving this has made me really happy and a little less like I have missed out. Thanks Birchbox! The shade that I received is Turn on the Haute Light which is the silver of a Diet Coke can. It's a brilliant shade for the Christmas season, so this beauty will be getting a lot of use. When I first saw the shade, I was thinking that it was going to be a definite two coater. I was then proven completely wrong. 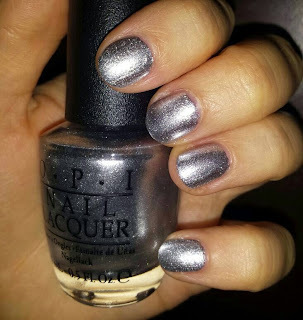 This polish is pigmented enough to be opaque in one coat, and I don’t use thick coats either. This has made Turn on the Haute Light a firm favourite for this season for me! You can buy the full size OPI - Turn on the Haute Light for £11.95 from Birchbox. The Dr Jart+ V7 Turnover Booster is a product that claims to provide nutrition for the skin via the use of seven different vitamins (hence the name V7) and to "improve skin's youthful quality”. It also helps to speed up skin turnover, ready for the rest of your products to be applied. The V7 Turnover Booster starts as a gel and turns into a liquid as you apply it to the skin. You need to apply a couple of drops to the fingertips and gently apply to the face. 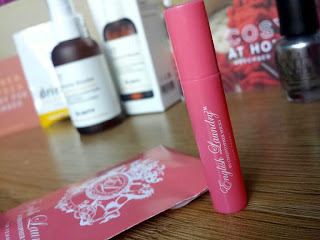 It also needs to be applied after cleansing, but before toning and moisturising, according to the in box product information included in the Birchbox. I’ve been trying this out since receiving my box, but it is difficult to report back on any results just yet. I can tell you that the application is quick and easy as is really is fast at absorbing into the skin. 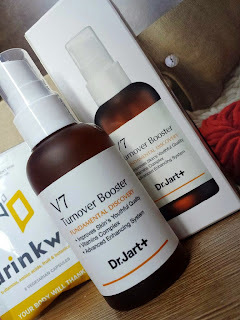 Alongside this, products that I use afterwards (my toner and moisturiser) seem to absorb far quicker than they do without the use of the V7 Turnover Booster. Also, after one night of use my skin seemed slightly more even. I really can't say more than that yet though as I want to give it a proper test run which can take a couple of weeks to see actual results. Once I’ve given it that time, I promise to update this post with the results, or with a link to a new post (if I have enough to say!). 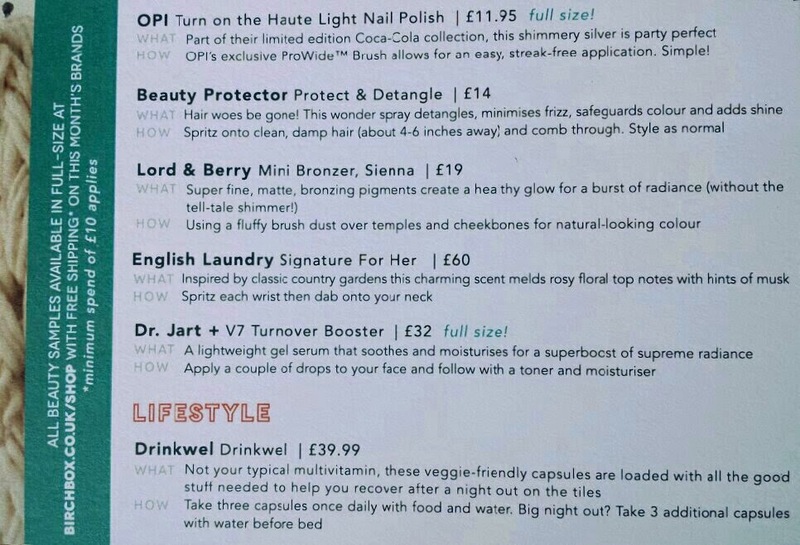 You can buy the full size, 50ml bottle of Dr Jart+ V7 Turnover Booster for £32 from Birchbox. The Lord and Berry bronzer is a matte bronzing powder that comes in six shades, but only two are being sent out in Birchboxes this November: Sienna and Sunny. I received Sienna in my Birchbox. 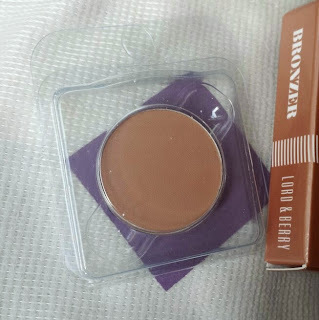 Because it is a matte bronzer, there are no shimmery elements to it. Personally, I find that better for this time of year, but I do understand that this can be a matter of preference. The sample size for this product is pretty teeny tiny, but I think it only seems so small because of the inclusion of the full-size products alongside it, making it seem dwarf-like in comparison. What is a little disappointing about it though is the packaging. There is a small pan with the product included that is then encased in plastic, but I can't help thinking that it would be far easier to use if it was contained within some form of better presented tray. Maybe that’s just me being picky, but out of all of the samples I have received from Birchbox, this is so far the least-well presented. I'm yet to swatch this bronzer so I can't give a full on opinion, but I will swatch ASAP and update. Update: I haven't got a photo, but I have tested out this bronzer. It provides a subtle flush of colour that is easily buildable and that lasts all day. 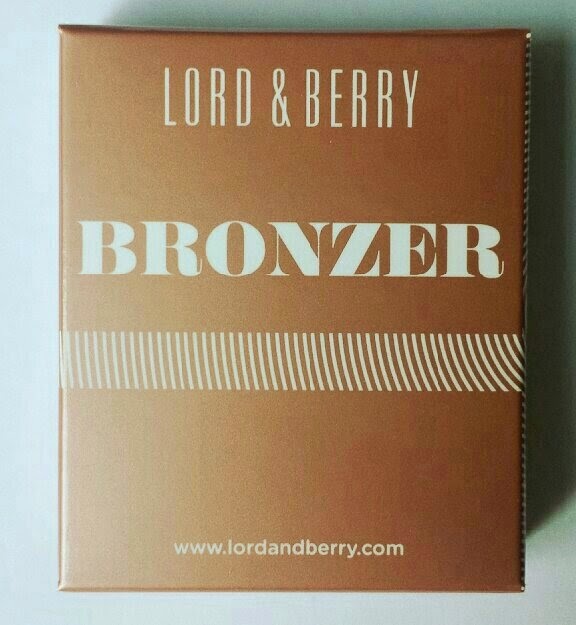 You can purchase the full size Lord and Berry bronzer for £19 from Birchbox. 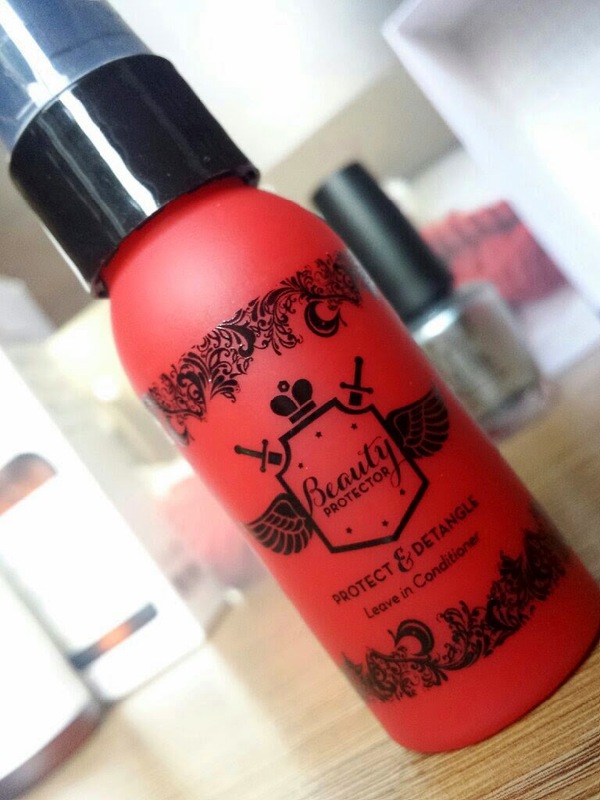 The Beauty Protector Protect & Detangle is a vegan, paraben free and sulfate free hair detangling leave-in conditioner. I have tried other samples from Beauty Protector in past Birchbox boxes and I specifically remember enjoying the Beauty Protector Protect & Oil sample. Also, from what I've already read about this product on the Birchbox website, the Beauty Protector Protect & Detangle is a firm favourite with other Birchboxers. Sadly though, I can't give it a try myself. As I've explained a few times now, I don't use hair products that contain silicones anymore. Therefore, my sister has scored herself another little hair goody! Not that she complains, of course. I'm waiting for her feedback, but the post will be updated as soon as she gets back to me. 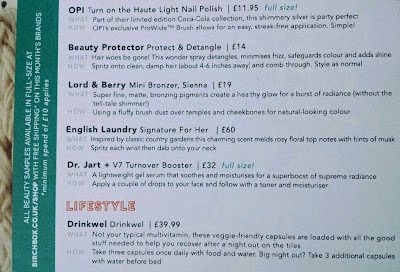 You can buy the full size, 236ml bottle of Beauty Protector Protect & Detangle for £14 from Birchbox. 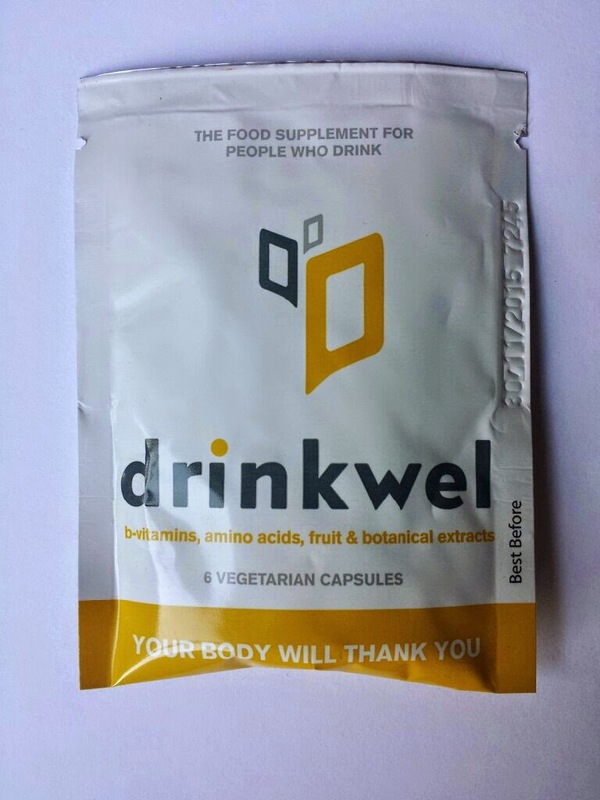 These Drinkwel capsules are a food supplement for people who like to drink alcohol. Each capsule is packed full of amino acids, vitamins, minerals, antioxidants and fruit and botanical extracts blend. You need to take three supplements daily, and if you have a night out drinking, you need to take an additional three capsules before going to sleep. Whilst I do like the idea behind these vitamins, I can't really get much use out of them right now. As a pregnant woman, I think I would have preferred the chocolate lifestyle extra. ;) No drinking going on, but chocolate is something that I can get a bit more excited about right now! However, like I said, I think the idea behind them is great and I can see a lot of people finding the Drinkwel Capsules useful over the festive period too! 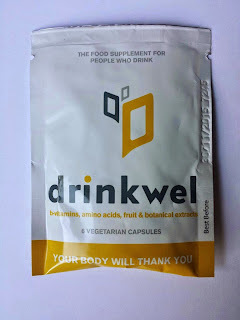 You can buy a full bottle (1 month supply) of Drinkwel Capsules for £32.99 from Birchbox. My top picks for this box are the OPI - Turn on the Haute Light (I do really love OPI) and (if all continues to go well) the Dr Jart+ V7 Turnover Booster, which seems to be working okay thus far. 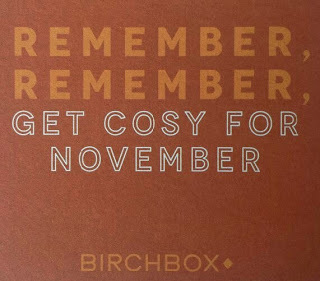 I think that Birchbox have released a pretty fantastic box for this November! The addition of the full-size products is also very much welcomed. It feels much more like a treat this time around, and it's not even Christmas yet (yet admittedly we are close now)! I'm also glad to say that the speed of delivery for this box was far better than the previous three months, so nothing to moan about there this time. 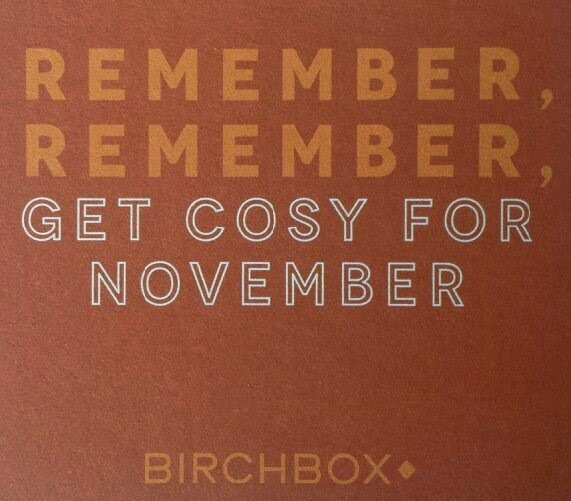 For this month you can also use the code NOV5 to receive £5 off your first box! And by using the link above*, you can also credit your account with £5 worth of Birchbox points to spend. Wahey!